The length we quilters go to find the right fabric or thread can be...well...long. Or is this just me ? I am working on a quilt for LP&Q for the solids series I announced a while back and decided on a very particular thread for the quilt I am working on at the moment . When it comes to choosing the right thread for my quilts two things are important to me; the quality and the colour. What isn't so important is the brand, although given that I only use top quality thread, the brands I use for piecing are somewhat limited to Gueterman, Aurifil and Superior. My preferred quilting thread thickness ranges from 40w to 28w and is only driven by colour (and availability). If for example I want to quilt in a steal grey, it matters little to my if I use Gueterman Sulky in 30w or a similar colour in the 28w from Aurifil. They are both equally good although the Aurifil is better value for money and I am lucky that Tina at Tikki stocks both. But sometimes I venture out of the normal range of colours I tend to use and go for a variegated thread. Mostly I use Gueterman Sulky then but on occasion something with a bit more punch is required. And then I need (yes need) Valdani hand deyed thread. I have used Valdani once before on my Comet quilt and love the boldness of the colour distribution on the variegated spools. Valdani isn't that easy to come by in the UK and whilst I managed to get the above two I used for the Comet quilt fairly easily from Germany, this time around it was quite a challenge to get the red/white M41 I chose for my new quilt (there is a hint somewhere there as to the colour of the quilt). My first google search let me to Germany but I had to find out that the shop I previously bought didn't stock them anymore. My next stops were a variety of shops all over the place that all wanted to sell me M41 in 8w or similar. 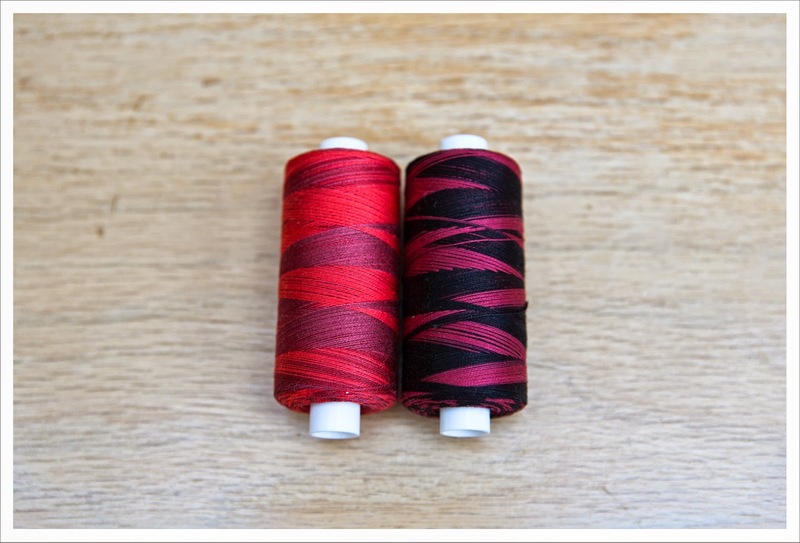 Then I found an on-line shop in Norway whose website was only in Norwegian but had a picture of my thread ! Yes I punched a fist in the air. Using google translator I managed to find out that the shop wasn't yet set up properly but because they had the thread on their web page I anyway sent a mail to the owner asking for help. Not wanting to wait for an answer I googled a bit more and found ecrater but they only had the required colour in the required strength "on hold". Still I sent a mail because you never know but got a negative answer back. Then I found DS9 but their shipping costs were a little extravagant. Meanwhile a few days had past and as I am on a deadline got a little desperate. So I went onto the Valadni web page itself, set-up an account, ordered the thread for what seemed a reasonable shipping fees only to find out after a few days that payment processes were being revamped and the charge would have been huge. Admittedly Dana made every effort to get the thread to me for the best price she could get and even asked the plant in Romania to send them to me directly. Whilst this conversation was going on I received a response from the lady in Norway who sadly had to tell me that she did not have the thread in stock (deep breath at this point) but that maybe her friend who is also Norwegian but lives in Bosten may have (sitting up a little straighter again). 2 hours later, the lovely Ase who is from netquilter and who turns out to be the Valdani distributor in the US had put one spool in the post for me for a very reasonable fee and best of all it arrived on my door step within 3 days. I sure I got a few more grey hair over this but am happy to report that I have the thread in my hands !! 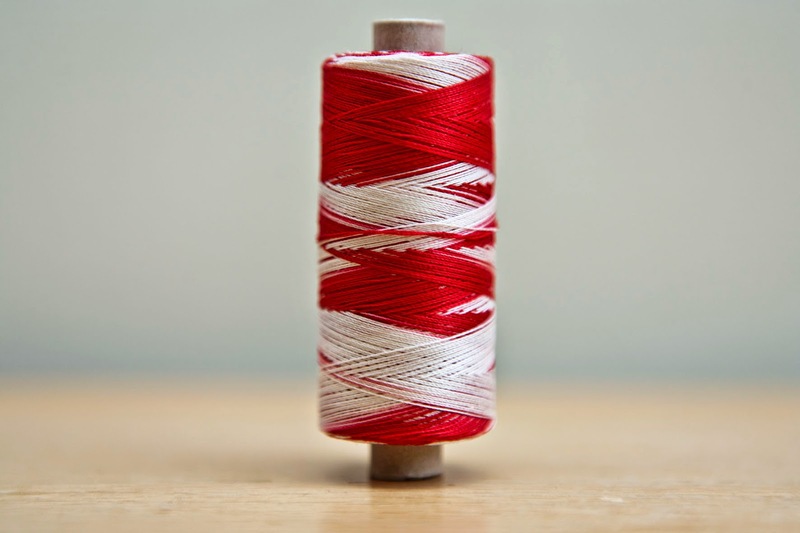 Has any of you gone through crazy length to get a particular thread or fabric ? I love the thread colours Valdani has. Last time I dealt with them they were located in my city. I should check and we should chat. Oh gosh, what a trial! I look forward to seeing the result!